The nature of the replies from Asos, which were first spotted by Australian media and marketing site Mumbrella, prompted customers to question whether the customer service representatives were humans or bots. 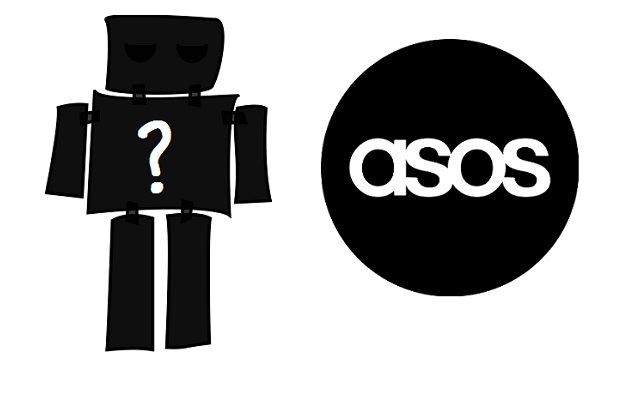 While ASOS denied that chatbots are being used, customers have taken to the platform to express their frustration in light of robotic-sounding responses on the retailer's Facebook page. The mystery began when customer Nick Paterniti enquired about his $1200 order which had reportdly been lost by Asos' courier. Asos representitive Ashley's reply appeared to be slightly confused, seemingly asking Paterni to send a picture of the lost items. 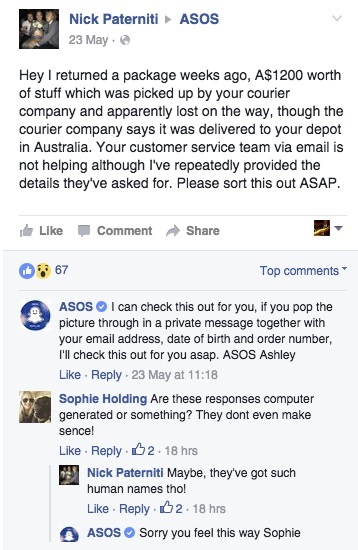 In reposnse, ASOS' official Australian Twitter account told a user: "We don't do automated responses – we respond this way because we can't discuss customers' details publicly! "We can understand how this looks, but we're only trying to ensure that we help all of our customers that get in touch." Facebook recently launched branded chatbots for its Messenger and WhatsApp platforms, with a number of high profile brands already signed up., including Uber, KLM and Skyscanner.